The main purpose of AMarkets is to maintain highest level of brokerage services and to provide best financial tool and products for our clients in order to give them competitive edge in the market. Being a STP (Straight Through Processing) broker, AMarkets uses NDD technology for the transfer of orders directly to liquidity providers on the interbank market - Deutsche Bank; Credit Suisse; Barclays; UBS; Morgan Stanley; BNP Paribas; Nomura. Being a STP (Straight Through Processing) broker, AMarkets uses NDD technology for the transfer of orders directly to liquidity providers on the interbank market - Deutsche Bank; Credit Suisse; Barclays; UBS; Morgan Stanley; BNP Paribas; Nomura. The AMarkets company has established itself as a broker with impeccable financial standing and high level of confidence among its numerous partners around the world. The AMarkets company is regulated by CRO CRFIN (Centre of Regulation of OTC financial instruments and techniques). Offering industry’s best trading terms and fastest order execution, we inviting you over to give it a try. 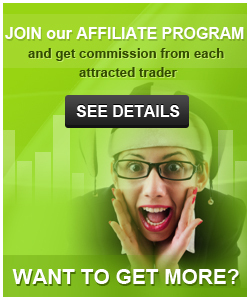 Moreover, if your are currently trading at other place, we have something very special for you. Just let us know where you coming from and receive 15% transfer bonus on your initial deposit from $200 and up.
! AForex. Your trend. Your Friend. In order to receive transfer bonus you have to submit your trading statement and MT4 investor’s password. Bonus will be provided to live account holders only. Fund your account for $500 and up and get 20,15% bonus! Don’t miss the opportunity to get more for your money. Offer will expire soon and it is available for the first 1000 clients. In order to activate your bonus you need to contact you personal account manager! Bonus can be void If partial of whole account withdrawal is made. Bonus will certainly help you to execute your trading strategy in a better and more safe way, so you can achieve your trading goals. By increasing your buying power it will provide you with an opportunity to get onto the next level and totally different comfort of trading. But keep in mind that this is also provides a greater loss potential due to emotional component associated with a big numbers trading. Bonus cannot be used to increase your margin, which means that bonus will be cancelled automatically if stop-out level is reached: Equity = Bonus + 20% of required margin. In order to withdraw bonus funds, you will have to satisfy the applicable trading volume conditions on your trading account. How to calculate the trading volume required for bonus withdrawal? Let’s say you received $3 000 as a bonus. Use this formula to calculate volume requirement for bonus to be available to withdraw: Bonus amount / 3 = Required trading volume, or $3 000 / 3 = 1000 lots. You can easily apply for Welcome Bonus by email us at helpdesk@amarkets.com providing your full name, account number and deposit details. There are no IB commission restrictions applied to bonus accounts. Maximum Bonus amount per client is $10 000. Welcome Bonus is not available for Invest Pro and NDD Pro Accounts. Upgrading to NDD Pro Account will cause Bonus Funds to be revoked from your account. Only closed positions will be considered for calculating bonus. Trades with less than 3 pips of profit or loss won’t be count for required volume computation. History of trading performed before the bonus reception will not be applied towards calculating Welcome Bonus as well. 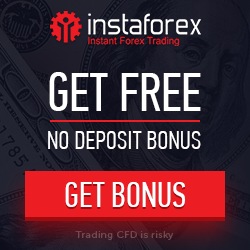 Only positions in Forex and Metals will be considered for Welcome Bonus. Bonus funds can not be used to increase your margin, which means that bonus will be cancelled automatically if stop-out level is reached: Equity = Bonus + 20% of required margin. In case of account withdrawal Welcome Bonus will be reduced proportionally to the amount of withdrawal. Profit gained during the trading can be withdrawn at any time regardless of the bonus funds amount on your account. AForex reserve the right to cancel all Welcome Bonus accruals for any customer's account without prior notice and explanation or due to fraudulent activity. Each contest Winner gets $50 to live trading account. All participants who showed profit throughout the contest are eligible for $100+$100 promotion. Break the record of $72,345 and get the main prize - $400 to your live trading account. Sometimes AMarkets has accept to change client account from IB to IB depends on type of the account. But if not to do so You need open new account via our link and add it to ForexRebate.me cabinet.